Sennheiser Momentum M2 IEi review | What Hi-Fi? Some headphone ranges are just plain confusing. Mixing multiple designs and model numbers is a recipe for a sore head. Sennheiser’s Momentum range has no such issues. First came the launch of the excellent over-ears, followed by a smaller pair of on-ears. A third addition to the family then came in the shape of the Momentum In-Ears. Small details like the Sennheiser logos and cable loops on each earpiece make the Momentum In-Ears stand out from the crowd at this level. The M2 IEis feature an in-line mic and remote for Apple smartphones, while a variant called the M2 IEG carries the relevant control/mic combination for Android mobiles (and shares the same sound quality). Fit is excellent and comfort levels are high – you get a choice of four different-sized eartips to help promote a good seal, which is easy to arrive at. Sennheiser’s Momentum range has made a real impact and it’s fair to say the addition of in-ear models has continued to deliver on all fronts. 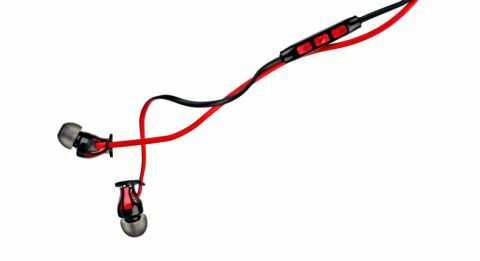 Though they lost their Awards crown to Klipsch's superlative R6i II in 2018, these former Product of the Year winners remain a fine option for those seeking a pair of in-ear all-rounders for less than a ton.